MARCH 22, 2010 – La Mirada, Calif. – Makita Industrial Power Tools and LeDuc Racing have agreed to a third straight year of partnership in short course off-road racing. 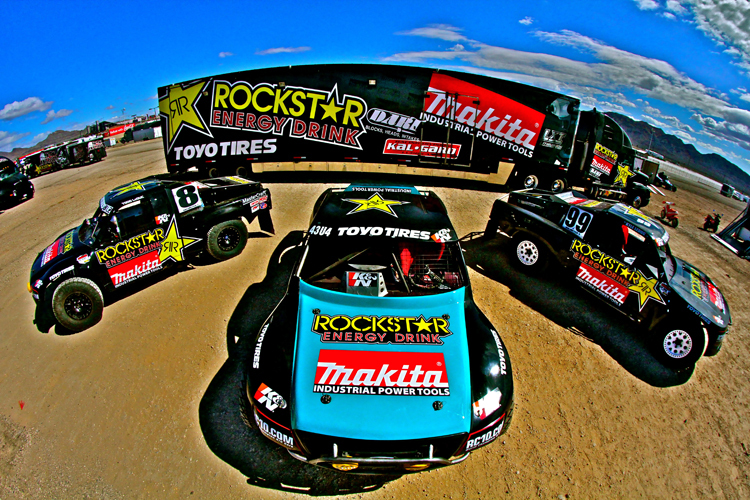 Makita joins Rockstar Energy as primary cosponsors of Rockstar Makita LeDuc Racing. Rockstar Makita Racing ended the 2009 season with a strong finish, and the team is looking forward to carrying the winning momentum and partnership into 2010. In addition to short course off road racing, Makita is a fixture in Supercross and Motocross as Makita and Suzuki Racing recently began their sixth year of partnership with the launch of the 2010 Supercross season. Rockstar Makita Suzuki Factory Racing Team will also compete in ATV, Superbike and Off Road racing in 2010. Makita and Rockstar are also sponsors of the Scheuring Speed Sports Sno-Cross Team. In addition to live racing, Makita’s is the Official Power Tool sponsor of Major League Soccer (MLS), and the Mexican National Soccer Team (FMF) during their competitive matches in the US.